After finishing college last year, still not knowing what I want to do with my life, I thought about what opportunities there would be off Island (I live in the Channel Islands), working but also enjoying life! My brother had achieved BASI levels 1 & 2 whilst on a gap year course with SnoworksGAP and after him telling me what a great experience he had and how his skiing improved so much, I booked my place straight away! In October 2015 I travelled to Tignes and my season began, 10 weeks training course to achieve BASI Level 1 & 2. Arriving in Tignes I couldn’t be happier, meeting my new family for 10 weeks and my trainer Lee Townend. After sorting ourselves out Lee got everyone working together and the next morning we were out on the mountain. Training in Tignes was Incredible, the glacier Grande Motte was a fantastic place to train, this was the second glacier I’ve skied and have to say (at times) some of the best snow conditions I’ve experienced, although It did feel a bit strange skiing in October and coming down the mountain every day surrounded by greenery. Like all resorts the snow conditions change and this meant learning different techniques to tackle the various slopes, Piste Performance, Central Theme and Teaching were the three areas the group had to master in time for the assessment. Away from the actual course, being in Tignes meant there was a lot more to offer. Loads of bars, restaurants, food halls, sporting and leisure clothing stores; as well as a state of the art sports centre which can hold many different sporting events and has an Olympic gym. We used the sports centre for fitness and playing basketball, there is also an Olympic sized pool in Tignes Le Lac. During the SnoworksGAP course we stayed at the Chalet Hotel L’Ecrin Du Val Claret. The staff, food and facilities were brilliant. Everyone got along so well and most of the time on our nights off we’d all go out together and have a blast. I also loved the fact that it wasn’t just our group staying at the hotel but many different courses being run at the same time like the All Terrain and Race Training. 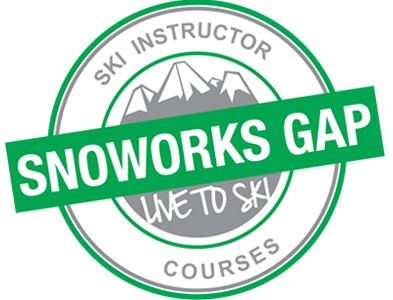 SnoworksGAP provide extremely high calibre, experienced trainers, they would never let anyone feel left out. Even off the skis they were all such fun and good people to have a laugh with and to be fair Lee wasn’t too bad at basketball either… don’t think he ever made a 3 pointer though!! As well as Lee I would like to mention Phil, Mike, Nick, Euan and JT. These guys are great instructors, because our group was quite large, we’d get split up into smaller groups. They helped us with all aspects of skiing and were always there if you had any questions. I must also mention the amazing Emma Carrick Anderson… Being taught by a four time Olympian was a true honour. 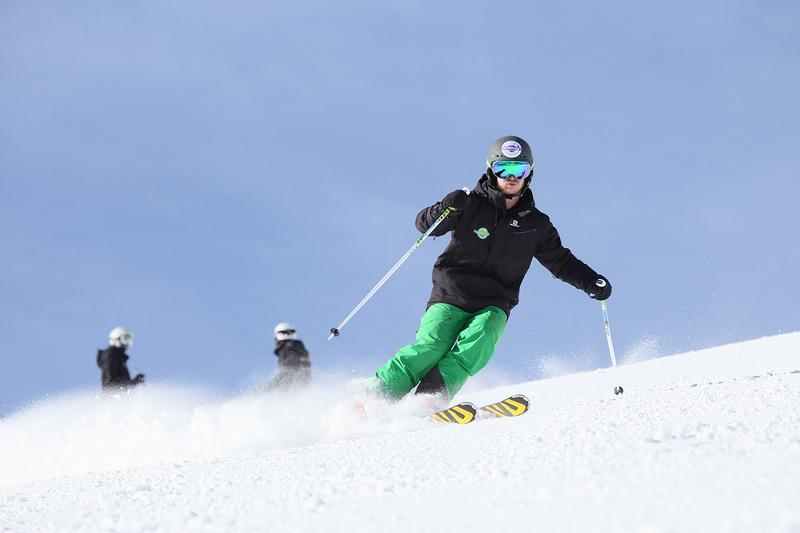 After the courses and exams were over I landed a ski instructor position in Lech in the Arlberg region of Austria for my first season, I taught all age groups and levels, what an amazing first season I had. I will be back in Tignes this season (2016/17) for more training and experience before I head off to Austria again. I’d highly recommend Lech (Austria) if anyone is interested in working in Europe. Thanks again SnoworksGAP, you’re the best… See you next season!